Gary Paffett is the 2018 DTM champion. Third place in Mercedes-AMG’s last DTM race was enough for the Brit to secure his second title win after 2005. “That is simply unbelievable,” Paffett shouted on the radio after crossing the finish line and thanked his team. “You have done a great job, we have deserved to win the title.” Victory in the final race of the season went to René Rast, who thus continued his winning streak in the 20th and final race of the season and scored his sixth consecutive victory. A new record. In the final DTM drivers’ standings, Rast eventually missed out on the title by merely four points. Behind Rast, BMW’s Marco Wittmann finished in second place. 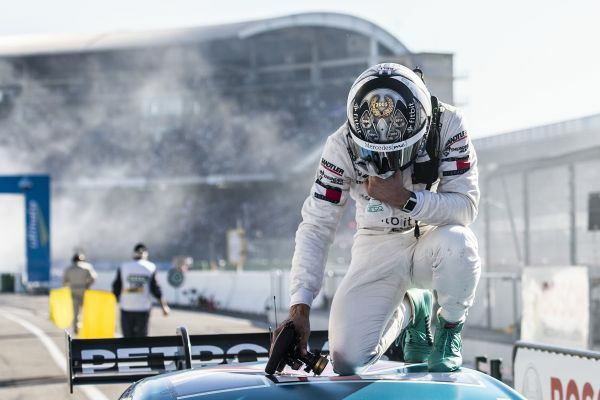 Winning the drivers’ title completes the triple for Mercedes-AMG, the Stuttgart-based brand already having secured the manufacturers’ and teams’ titles with Mercedes-AMG Motorsport PETRONAS prior to the final race. “Congratulations to Gary Paffett and to Mercedes,” Gerhard Berger, chairman of the DTM organisation ITR, said. “They have done a good job and they made it at the end. At this time, I would express my sincere thanks to Mercedes. Berger’s summary about the season was very positive. “I am looking back upon a great season. Mercedes leaving the series regularly came up as a topic, but with the luxury sports car brand Aston Martin, there are great new perspectives for the future of the series. “Eventually, Gary kept his nerves in control and is a merited champion,” Berger continued. “That he is leaving the DTM is sad, but everybody is making mistakes sometimes. No, jokes aside: I wish him good luck for his new challenge. “Here at Hockenheim, we have staged a great show for the fans,” René Rast summed up the weekend that the Audi driver had put his mark on to a great extent. 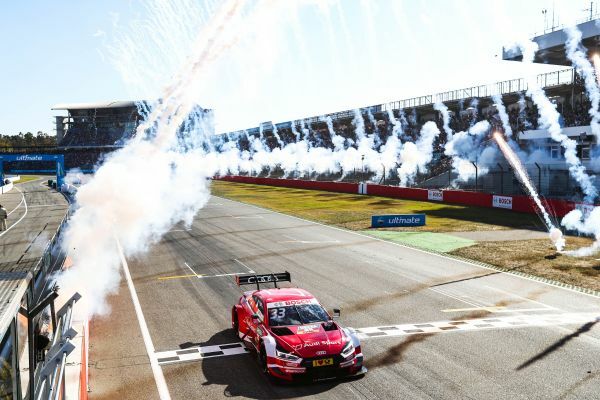 Slightly overshadowed by the main actors, other drivers showed great performances in the DTM finale, too: Marco Wittmann, who had started from pole position, finished second and Robin Frijns took the chequered flag in fifth place behind Nico Müller. The Dutchman showed great progress from last place on the grid and scored ten points as a reward. The 2019 DTM calendar includes nine race weekends. As usual, the season gets underway at the Hockenheimring Baden-Württemberg (3–5 May, 2019), also the venue of the season finale (4–6 October, 2019). The circuits of the three further race weekends in Germany, the Norisring, the Lausitzring and the Nürburgring, are also part of the regular fixtures on the DTM calendar. Moreover, the DTM is racing four times in other European countries. While the tracks at Misano (Italy) and Brands Hatch (United Kingdom) were already part of the schedule of the touring car series in 2018, the legendary TT Circuit at Assen in The Netherlands is a new circuit that is featuring on the calendar for the first time. Moreover, the DTM will be making its comeback at Circuit Zolder (Belgium), the track where the DTM had its inaugural race on 11 March, 1984, back then still referred to as ‘Deutsche Produktionswagen-Meisterschaft’.